This Kefir, Mango and Banana Protein Smoothie is a delicious smoothie, rich in goodness and probiotics. We are using Milk Kefir here, which is a cultured probiotic drink made with Kefir “grains”. Kefir drinks are easily available these days, next to all the other probiotic drinks, but in my house, it’s homemade. 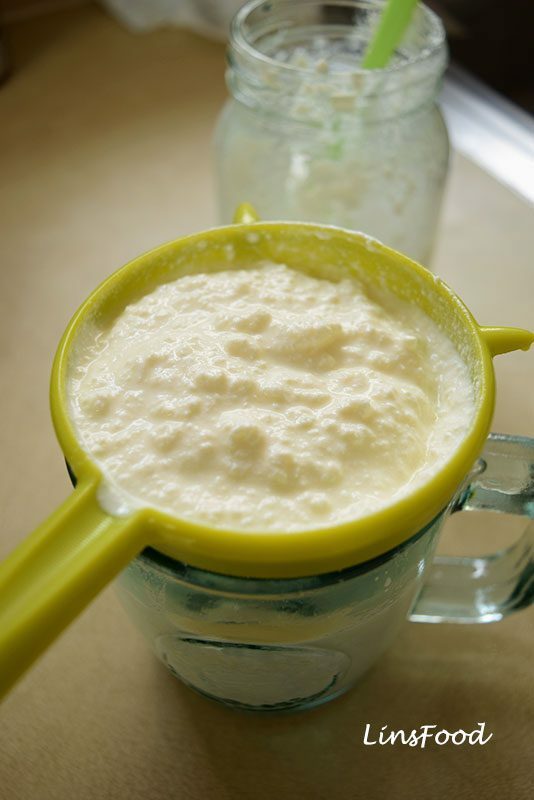 All you need to get started is a kefir starter, which consists of the “grains”. But more of that, in an actual post on kefir. This smoothie is absolutely delicious, and is just one of many ways that we use kefir at home. 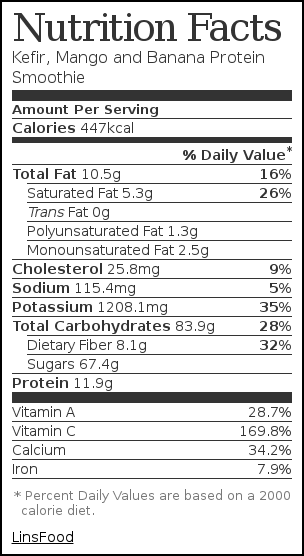 As I have my smoothies as part of my workout nutrition, they always have some protein powder in the mix. You can do the same, or leave it out, and still have a protein drink. I add some ginger and turmeric to the mix, and when you use turmeric, you have to have a touch of black pepper to increase the absorption. Read more on turmeric here. The final flavour is a rich, creamy and tangy drink that is going to do you a world of good! This Kefir, Mango and Banana Protein Smoothie is a delicious smoothie rich in goodness and probiotics. We are using Milk Kefir, a cultured, probiotic drink. Grate the turmeric (if fresh) and ginger. Place everything into a blender and blend to a smooth drink. I don’t do banana anything but I do mango everything! Love a good fruity smoothie! My husband will surely love this after hitting the gym. This smoothie is perfect. I’ve never been a big banana fan, but I’ve been trying to like it more by mixing it with other flavors and mango may be just the ticket! Yes, I do the same for my kids! You got me at mango! I’m not a huge fan of smoothie but if there is mango and banana than I’m in for a try. Like these two combo! These looks very delicious and perfect for breakfast. I am going to have to try it out in the morning. This looks good! I have never tried kefir before, but I love mango and banana! That sounds amazing! I don’t really put protein powder in my smoothies so this recipe is okay with me. I love the combination of mango and banana! Yum. That looks like a delicious smoothie. I bet it’s filled with vitamins and protein. I should try it sometime. Mmm, I do enjoy smoothies. I’ll have to make this! Sounds delicious. 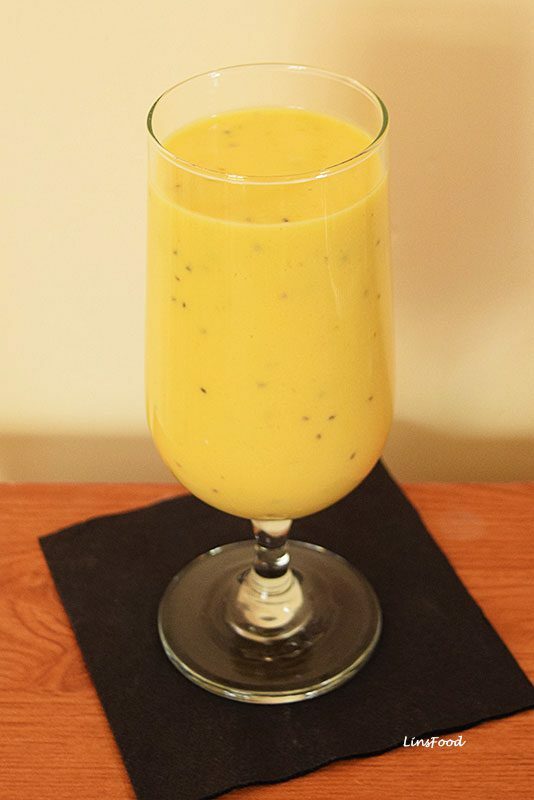 Banana and Mango is my favorite blend and mixing it with Kefir milk will make it a more tasty and healthy drink. I’ve really been trying to eat more fermented foods recently. I’m trying to repair my gut bacteria so this will really help! That smoothie sounds really good! I love a good smoothie to start my day!